In Wellington, over 18,000 of the city’s residents walk or jog to work. That’s how most Wellingtonians move around the city. Said to have more cafes, bars and restaurants per capita than New York, Wellington is also fuelled by some of the strongest coffee you’ll ever find. 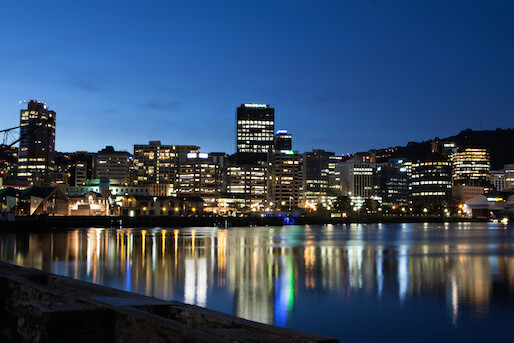 Our great location means you’re..
and close to many other city attractions..
For quality of living, Wellington has been named the 12th best city to live in out of 221 cities across the world. Here is our top must do activities for locals and visitors. Te Papa Museum is the National museum of New Zealand since 1992, it is a number 1 tourist destination in Wellington. Te Papa Museum is the best place for you to get a taste of New Zealand’s history. It is also our national art gallery. There are many events and exhibitions held in Te Papa every year. Wellington cable car has been operating for over 110 years and is a special feature of our city. Take a relaxing, scenic ride all the way from Lambton Quay to the top of the Botanic Gardens. The cable car departs every 10 minutes all year round, the fare is from $3.50 each way. The Beehive is the common name for New Zealand’s Parliament buildings. It was built between 1969 and 1981, by a Scottish architect. Visitors can join a free 1 hour guided tour to learn about how the government works, or visit the ground floor visitor center. Zealandia is an award winning eco-attraction in New Zealand, it is also the home to some of the rarest and most extraordinary wildlife on the planet. Visitors can get a real taste of New Zealand’s amazing natural heritage, and experience unique night wildlife tour. Take a short walk to one of the city’s most distinctive and attractive precinds. Visitors can enjoy great coffee and famous Kapiti ice cream while walking around the waterfront. Don’t forget to stop by Wellington Maritime Museum, it has been voted one of the world’s top fifty museums. Weta Cave workshops have become a famous name in the film industry after participating in world class films, Lord of the Rings, King Kong, Chronicles of Narnia, and many other blockbusters movies. Visitors get a glimpse of behind the scenes, as well as the opportunity to purchase movie memorabilia. New Zealand’s first zoo is also the world’s first Carbon Zero certified zoo – meaning any carbon emissions are cancelled out by reducing, reusing and recycling. Planting thousands of trees and purchasing carbon credits further protects the planet and its inhabitants. On top of housing more than 500 animals of 100 different species, the Wellington Zoo has a long list of animal encounters. Leave with stories of how you came face-to-face with a cheetah, walked alongside wallabies or fed a lion with your bare hands!